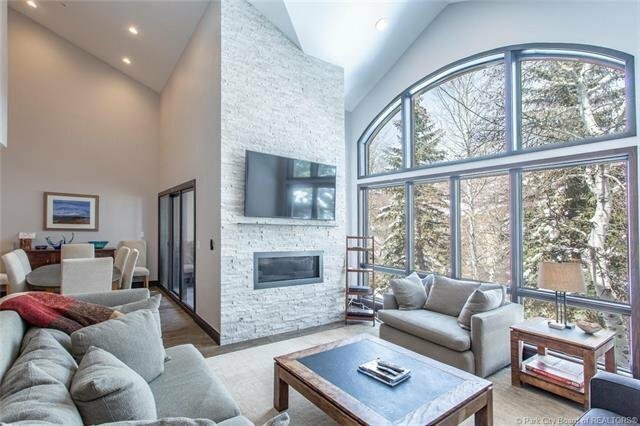 Beautiful Remodeled Mountain Contemporary Town Home Beautiful Remodeled Mountain Contemporary 3 Bedroom Stonebridge town home in the heart of Deer Valley. Skiing & summer concerts are minutes away either by driving or walking. Historic Main Street and Park City Mountain Resort are also a few minutes away. Fully remodeled kitchen with top of the line stainless appliances and a large island with beautiful counter-tops. The adjacent dining area and breakfast bar has seating for 10-12 guests. The master suite beautifully redone with a separate sitting area/loft.The second master suite has two queen beds and the third bedroom has 2 twin over full bunk beds with a twin sleeper chair. There are two private decks that has a 7 seat private hot tub. This home can comfortable sleep 12. New Photos coming soon.